Born; Feb.22, 1910 in Clay County, Ark. Married; James ( aka; Jim ) Anderson in 1933. Wilda retired from the profit sharing office of Sears and Roebuck in 1973 in Ill. She and her husband moved to Largo, Fla. at that time, and at the retired age of 75, Wilda learned to play golf and to drive a car. Husband Jim died in 1989 after 56 years of marriage;Wilda is preceded in death by; Her husband, Jim ; Parents; brothers Eugene, Roy, and Lawrence Allen and a sister, Virginia Miller. Wilda and her husband did not have any children, but she will be missed by 5 nieces and nephews and their friends. Deceased Name: DAHLBERG , HERBERT A .
DAHLBERG, HERBERT A., 100, of Largo, died Monday (April 13, 1998) at Sabal Palms Health Care Center, Largo. He was born in Sweden and came here in 1972 from Philadelphia. He was a self-employed carpenter and member of Carpenters Local Union 8 for 40 years. He was Lutheran and a member of Masonic Lodge 719 F&AM and Oscars Borg 172 Vasa Lodge Order of American. Survivors include his wife, Elsie; a stepdaughter, Francine Gagliardi and a stepson, Fran Gagliardi, both of Philadelphia; a sister, Bertha Hed, Largo, and several nieces and nephews. National Cremation Society, Largo. * Note: SSDI lists his death as April 13, 1998 and that his last residence was Yalaha, Lake Co., Fl. However, no deeds or cemetery was located for him in Lake. 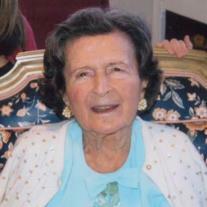 Wright, Elizabeth Bernice Johnston 102, of St. Petersburg, died peacefully, surrounded by her family at St. Anthony's Hospital and entered into eternal life on Monday, July 23, 2012. Born in Monroe, LA, she and her husband, Claude Bernard Wright, M.D. moved here in 1932 when he became the first City Physician. She graduated from Sophie Newcomb College, Tulane University. She was a founding member and early President of St. Anthony's Auxiliary, and member of the St. Petersburg Yacht Club, The Stuart Society, The Museum of Fine Arts, The Carreno Club, Princess Hirrigua Chapter of the Daughters of the American Revolution, and The Cathedral Church of St. Peter and its choirs. Betty had a lifelong interest in learning and a genuine interest in each person she met. A friend to many, she will be greatly missed. She was a True Southern Lady, very outgoing and continually welcomed new friendships. Her life was centered around both her personal family and her church and extended family. She constantly thought of others first, and prayed for those in need. She lived her faith! Betty was a consummate writer of thoughtful and caring notes, cards, and letters which were treasured by so many. She made a practice of remembering the birthday of others. Without fail, she telephoned or wrote greetings, or both through the years. Betty continued this practice up until her death. At St. Peter's she was a member of St. Margaret's and St. Teresa's Guilds, and led the St. Mary's Prayer Group for many years, in addition to her singing in the choirs. An accomplished musician, Betty had a love for classical music. She had a beautiful trained soprano voice. Betty sang often with the Carreno Club in local hotels such as The Suwannee, The Soreno Hotel, and the Concord Hotel. Her ambition was to keep classical music alive during the Depression, which compelled her to help organize and promote a symphony orchestra. Her work with Mrs. R. W. Roberts resiulted in our current Symphony Orchestra. In later years, Betty and her husband delighted in growing orchids, azaleas, and camellias. She took great pleasure in sharing their beauty and often took camellias to others, and to decorate the new Museum of Fine Arts. She was an early supported of the Museum and Mrs. Stuart. Betty was a devoted Christian, beloved mother, grandmother, and great grandmother. She was preceded in death by her husband and her parents, John Bishop Johnston and Julia Elizabeth Johnston (nee Barns): and brother John Bishop Johnston, Jr. She is survived by her children Donald Howard Wright (Barbara Jean) and Nancy Wright Thomas (Thomas Bryce), four grandchildren, and four great grandchildren. She is also survived by her sister-in-law Mrs. John Bishop Johnston, Jr. and nieces and nephews and their families as well as amny friends in Monroe, LA, and great nephew of Virginia Beach, VA and his family. Services will be held at 10:AM on Saturday, August 4th, at The Cathedral Church of St. Peter, 140 Fourth Street North, St. Petersburg, FL 33701, where donations in Betty's name would be welcomed. Inturnment will be at a later date in the family plot in Monroe, LA. Fond recollections of special occasions and everyday things. Let your heart start on its journey to healing by feeling the comfort remembering brings. Pictures, mementos, and favorite stories both funny and sad. Let your mind wander the paths of remembrance, reliving the joys and the good times you've had. Sweet proof of the promise that love will live on.